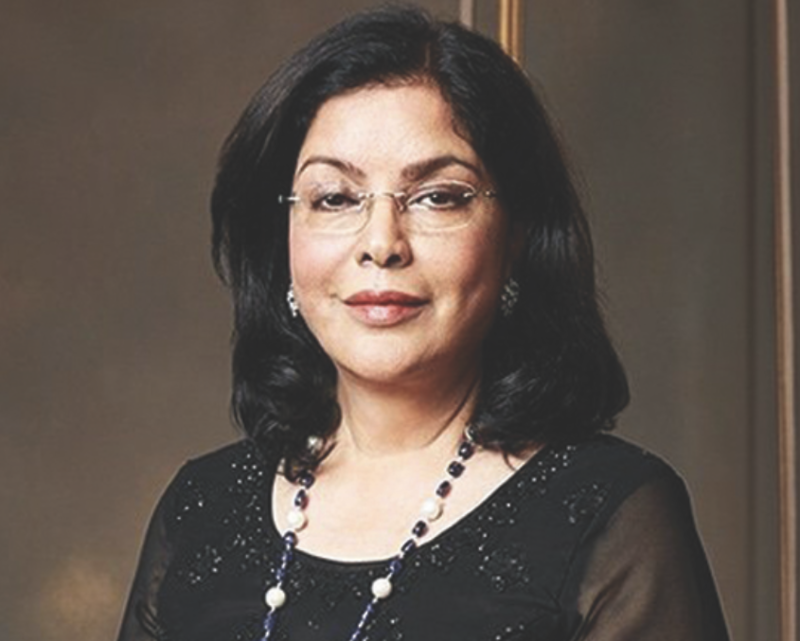 Zeenat Aman, as soon as you hear that name or read it in this case, you are immediately taken back to the films of what many say were a golden age of Hindi movies -the 1970s through the 1980s. Aman redefined what it was to be a Bollywood heroine and changed the face of Indian movies. 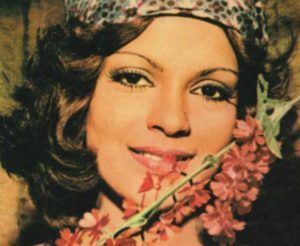 Her characters were varied and in many cases pathbreaking over her legendary career, from the more conventional films like Chori Mera Kaam, Dostana, Lawaaris and Qurbani which are considered to be landmarks in Indian cinema. The actress also took on never before played roles like a disenchanted, pot-smoking hippie in Hare Rama Hare Krishna, the opportunist who leaves her unemployed lover for a millionaire in Roti, Kapda Aur Makaan to the girl who falls in love with her mother’s one-time lover in Prem Shastra, the disfigured temple singer yearning for love in Satyam Shivam Sundaram and a woman married to a caustic cripple but involved in an extramarital relationship in Dhund to name just a few! Was acting something you always wanted to do? No, no, no, actually I just stumbled into this quite accidentally. I had no major plans for being an actor. Actually I was more into academia. It was all something that just happened. What drew to the roles and films you did? What went into your decisions? I had to choose from what I was offered. I always looked to see which producer was making the film. Who was the director of the project? What was my part in it? I chose from what I was offered whether it was Hare Rama Hare Krishna, Heera Panna or films like Dostana, Yaadon Ki Baraat, Laawaris, Qurbani or films like Don or Insaaf Ka Tarazu. It was always will this film get made? Is the person making it making it with love? How did you become your characters because you did play such a varied range of roles and films? I will tell you what it was, when I started, I played very light roles like Chori Mera Kaam. Fun roles like Yaadon Ki Baraat, and then as I got skilled and I honed my craft – I did different kinds of roles. Really it is the opportunities that are given to you and whether you accept those opportunities. I was blessed that I had the opportunities that I did. It was a 15-year journey so obviously as you grow you hone your craft and you know what you are doing better. You try to do the best that you can. Looking back over your incredible career what would you say about the films you have done? Oh, I think I really lucked out. I got to work with some amazing filmmakers that were at the top of their game. I worked with a lot of actor-directors. I worked with a lot of very successful leading men. A lot of my films did very well. So, I am grateful for the opportunities I had. Of all the roles you played do you have one that is your favorite? No, because see there were so many milestones along the way. (You can hear the smile) From where I started there were many, many milestones. They were different experiences – all of them. What do you look for in roles today? It will have to be age appropriate and then interesting. You are considered one of the most inspirational actresses to many, what do you think it is about your work that inspired so many people? 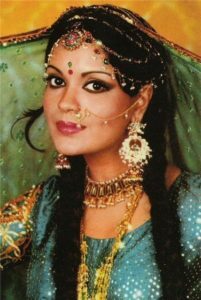 Well, a lot of people say that I broke the mold in India in terms of leading ladies who were either playing very traditional parts or playing the vamp. I broke the mold and blurred the lines and the distinction between both. So, people attribute the westernization of the Indian woman to me. What do you think of the movies of today? Indian cinema is alive and well. There are fabulous films out there and our leading ladies are so talented – they are beautiful they dance well, they perform well. Everything is the way it should be. There have been great technological advances. People love to go to the movies still inspite of living in a digital world. Of course, you at the prestigious UK ASIAN FILM FESTIVAL this week, what was it about this festival that made you want to be a part of it? I love their theme of Revolution! I love that theme! I love the fact that it is a platform for women to showcase their skills as technicians, as actors, as filmmakers. I think it is such a wonderful platform. I am thrilled that I was asked, and I am very happy to be here! How important is it to not only get the Indian film industry out to the world but also the India indies, the films that show at film festivals with intriguing stories and interesting films that are showcasing at this festival to the world? If you had to give advice to someone who wants to be an actress or actor what would you say? Believe in yourself. If you have the passion have the perseverance. Go for your auditions do whatever is required of you in term of delivering your work. Do you have a message to your fans out there? I just want to thank them! Thank you! Thank you to all my fans who have loved me or loved my work over the years. Thank you for being there, thank you for your support. Thank you for your love – I am always grateful for that. 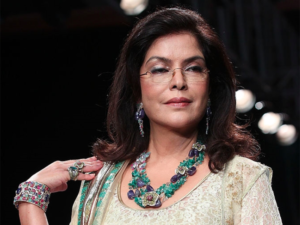 I would like the thank Ms. Aman for being so gracious and giving such wonderful answers! To find out more about the UK Asian Film Festival that runs through April 7th over 5 cities go here.